The first weekend of the 29th edition of the Primo Cup–Trophée Credit Suisse has finished in breezy 20-knot conditions which saw six fabulous races over the two days for the 20-boat J/24 fleet. Having searched for wind on Friday further offshore, only to have it filling in with a vengeance in the bay, the Race Committee led by Thierry Leret decided to keep the competitors safe in the more sheltered Cap Martin area. 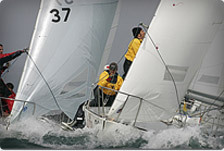 With gusts of up to 35-40 knots, it proved a wise decision not to start any races that day. With a full complement of races behind them over the last two days of the event, the international crews again had an opportunity to start their racing season early in windy, not-so-wintery conditions! 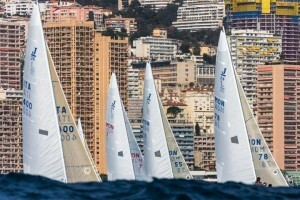 Amongst the J/24 class, five nationalities participated. Ian Ilsley and François Brennac on St Andrews won overall and were awarded the 2013 J/24 Class Challenge Trophy, presented by J Boats (Italy) which from now on will award the winner of this series at the Primo Cup–Trophée Credit Suisse every year. St Andrews sailed a consistent series, scoring a 1-2-1-3-3-1 for 8 net pts after throwout. “We are very pleased with this victory, a very important year for us, as we are not only preparing the European Championship in Monaco but also the World Championship in Ireland, to be held in August in Howth,” commented Ian Ilsley. 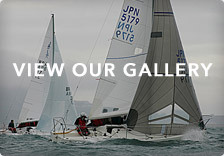 An active and dynamic member of the Yacht Club de Monaco, he is also behind the Monaco Team Race, a new J/24 event due to take place in Monaco from the 8th to 10th March 2013 which has attracted nine teams from key European Yacht Clubs. Just behind them and never far from taking the gold was the Greek team sailing Evniki. Her crew, ranked 5th at the 2012 European Championship, were there to experience the Monaco waters in anticipation of the 2013 J/24 European Championship, being held in Monaco from 5th to 12th October. They were not here just for “show & tell,” they even managed to win two races, scoring a 2-3-ocs-1-1-4 for 11 net pts. Rounding out the top five were Blandine Medecin’s team on Topo Too sailing to a 5-1-ocs-2-6-2 for 16 net pts to secure third overall. Blandine was the top woman sailor at the event. Lying in fourth was long-time class veteran from the United Kingdom, Stu Jardine sailing Julia (a.k.a. “Stouche”) to an 8-5-12-4-2-5 record for 24 net pts. 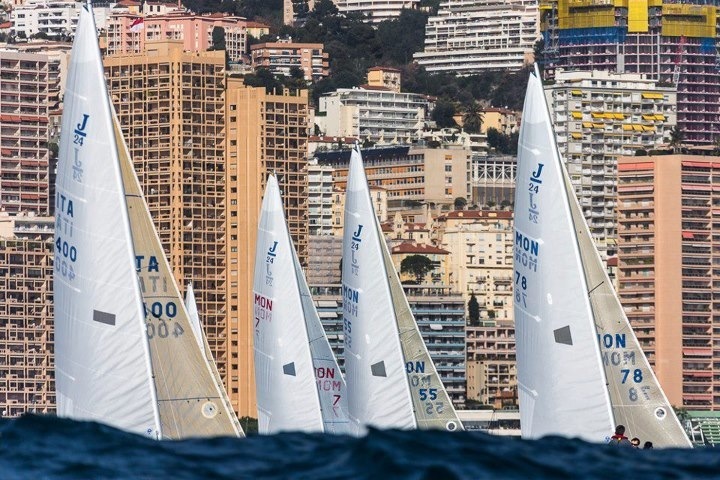 “Another great Primo Cup with great weather conditions and it is very good to see that the sixteen Monaco boats are competing to a much higher level,” said Stu Jardine, a seasoned series racer with many top level titles to his name. Finishing behind them in fifth was the second woman skipper, Anne Rodelato sailing Joker to a 10-4-2-8-9-3 scoreline for 26 pts. The Primo Cup in J/24s were also a family affair in the top five! Special mention should be made of the Rodelato family from Monaco, enthusiastic members of Yacht Club Monaco and avid J/24 sailors. Both Claude and Jean Rodelato sailed with Blandine on her third place finishing Topo Too. And, Anne Rodelato, of course, was the skipper of Joker in fifth place. For more Primo Cup- rophee Credit Suisse, visit http://primo-cup.org/index.php/en/.